Widely known as “The Oil Bank of America,” BOK Financial has a deep and unique commitment to the energy industry. More than 105 years later, we’re more committed than ever to the energy industry and continue to grow our reputation as a strong, stable and reliable financial institution. As one of the top 25 U.S.-based banks, the foundation of our extensive energy platform is lending, commodity hedging and A&D advisory services, in addition to traditional core banking products. We primarily focus on serving the privately held and mid-cap independent segment of the energy middle market. We can arrange loans from $5 million to $75 million and can also arrange larger multi-bank syndications. Currently, BOK Financial leads more than 70 syndicated transactions with more than half of those being energy related. As part of our broker dealer, BOK Financial Securities, Inc., E-Spectrum Advisors provides A&D advisory services to upstream companies in the oil and gas industry. They can help in every aspect of the transaction process and their capabilities include raising capital, asset divestiture, acquisitions (buyside advisory), financial advisory, restructuring consultation and evaluation services and fairness options. (c) BOK Financial Corporation. Services provided by BOKF, NA. Member FDIC. 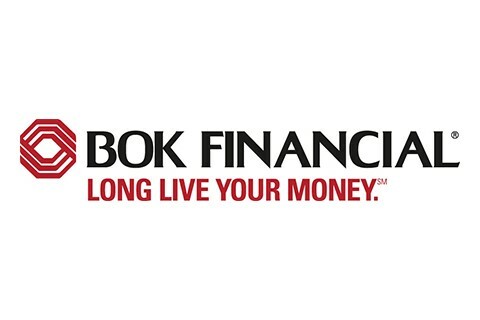 BOK Financial's banking subsidiary, BOKF, NA, is among the top 25 nationally chartered U.S.-based commercial banks based on assets as of December 31, 2016, according to the U.S. Federal Reserve. Securities offered through BOK Financial Securities, Inc., a registered broker/dealer, member FINRA/SIPC and a subsidiary of BOK Financial Corporation.